Pharmeasy Phonepe Offer – Get Up to Rs 500 Cashback with Phonepe, Now shop on India’s largest online healthcare subscription portal Pharmeasy. Now Pharmeasy is associated with Phonepe and offering flat Rs 500 cashback when you pay on Pharmeasy using Phonepe app. This offer is valid from 8th February 2019 (00:00:00 hrs) to 15th February 2019 (23:59:59 hrs). So follow below given procedure and avail this offer. 1) Up to ₹500 cashback on Pharmeasy on transaction via PhonePe. 2) The minimum order value is ₹50 to be eligible for cashback. 3) Cashback amount can vary between ₹50 to ₹500 for all users on each eligible transactions. 4) From 8th February 2019 (00:00:00 hrs) to 15th February 2019 (23:59:59 hrs). 5) Payment to be made through BHIM UPI, Debit Card, Credit Card or Wallet within the “PhonePe” option on Pharmeasy checkout. 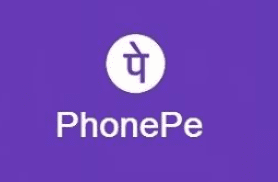 6) For users paying through BHIM UPI, cashback is valid on transactions initiated and completed on PhonePe using a PhonePe linked bank account. 7) Cashback is valid once (per user, per device) via PhonePe during the offer period. 8) Cashback can vary between ₹50 to ₹500 for one transaction during offer period. 2) On Pharmeasy, select items to order and proceed to pay. 3) On the payment page, select “PhonePe” as the payment method. 4) You will be redirected to the “Pay by PhonePe” screen; follow instructions specified (Click on Send OTP, Enter OTP, and Login). 5) Pick the preferred payment option from the options shown (UPI, Debit Card or Credit Card, Wallet). 6) Click on “Pay” to complete the transaction.